Tempe, Ariz. – Two Arizona State University professors are among the first recipients of Somatic Cell Genome Editing (SCGE) grants from the National Institutes of Health Common Fund. The $2,600,000, five-year grant will fund the first study of the genome editing technology CRISPR to be used on a "human liver on-a-chip" platform. CRISPR enables researchers to target genes and genetic materials in cells to regulate how they behave and function. Because of CRISPR's ease of engineering and programmability, it is considered a breakthrough technology with the potential to help cure disease, repair damaged body tissue and in other ways restore people's health. "[CRISPR] is a pathogenic source, so to put this in humans, you face a number of concerns, such as toxicity, an immune response, or some other side effects that it might affect cell tissues in humans," says Kiani, the project lead for the multi-institution endeavor. "There's a chance introducing the system creates some sort of off-target effects in the genome, meaning that it not only influences the target DNA code, but also does some unintended modifications in parts of the genome that we don't know [about] and don't want." These organ-on-a-chip mediums are essentially a 3D cell culture system designed to have the specific features that would exist in a human body. Multiple cells within the medium self-assemble to generate a tissue similar to a human organ, even mimicking the human body's blood flow and the profusion of the media in cells. 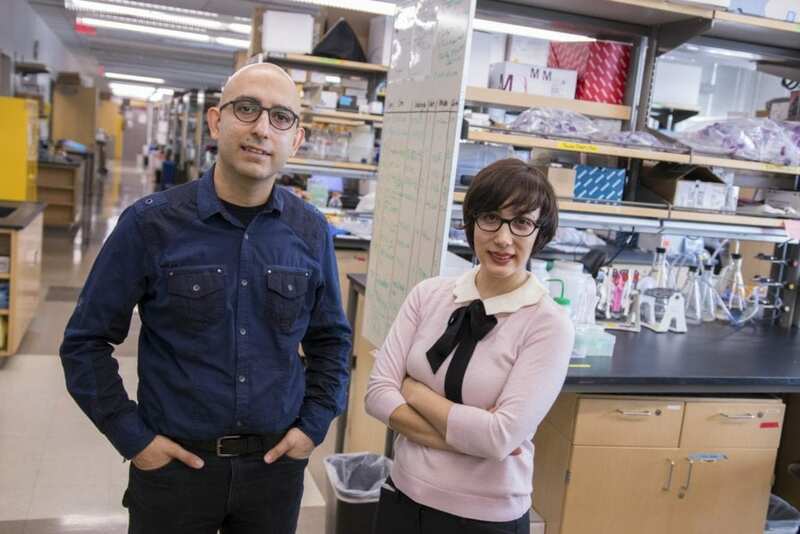 "The final objective is to create a culture system that can predict the liver tissue response in humans," says Ebrahimkhani, who worked with this platform during his studies at Massachusetts Institute of Technology. "In the long term, we hope to be able to achieve a candidate CRISPR system that can target a specific gene in humans with control over cell type, time of action and any potential toxicity." The liver is likely to be one of the first human organs where gene therapies will be tested. Given the frequency of degenerative, genetic diseases associated with metabolism and the function of the liver, using the liver-on-a-chip platform as a proxy for human liver cells is ideal for studying CRISPR/Cas9's effectiveness as a therapeutic tool. The multidisciplinary team of investigators includes Jin Park, an assistant research professor in the Virginia G. Piper Center for Personalized Diagnostics at ASU's Biodesign Institute. Park will help with data analysis of the RNA and DNA sequences to identify biomarkers in tissues. Linda Griffith, the School of Engineering Teaching Innovation Professor of Biological and Mechanical Engineering at the Massachusetts Institute of Technology and a leading expert in microphysical systems, and David Hughes of CN Bio Innovations – the commercial vendor for the Liverchip®- are collaborating with the ASU team in this research. They will contribute novel technologies and their expertise relevant to human-based cellular platforms. "We're excited this opportunity to see that NIH entrusted the leadership of this multi-institution grant to Samira and Mo," says Marco Santello, director of the School of Biological and Health Systems Engineering, one of the six schools in the Ira A. Fulton Schools of Engineering. "It's a true testament to the caliber of the faculty in the Fulton Schools."